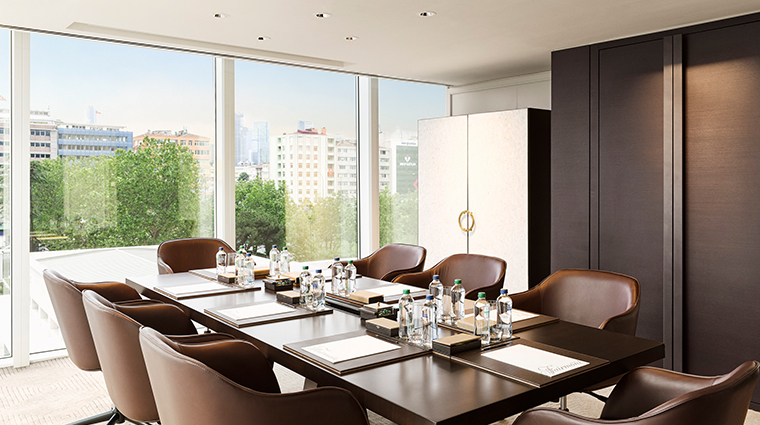 Situated within a sleek business and residential complex, Fairmont Quasar Istanbul occupies a strategic locale close to highways, office headquarters and luxury shopping centers, attracting both business travelers and families alike, and accommodating them all happily in its chic enclave. 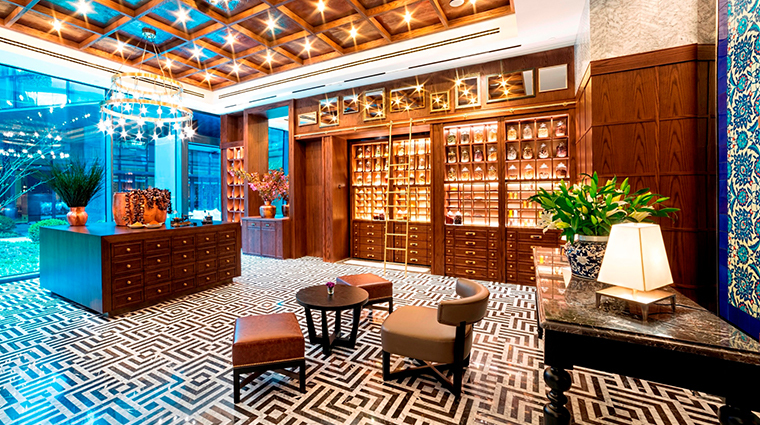 The hotel is adjacent to a refurbished 1930s-era liquor factory — originally designed by famous French architect Robert Mallet-Stevens — and gets its interior design inspiration from the building’s industrial function as well as its distinctive art deco trappings. 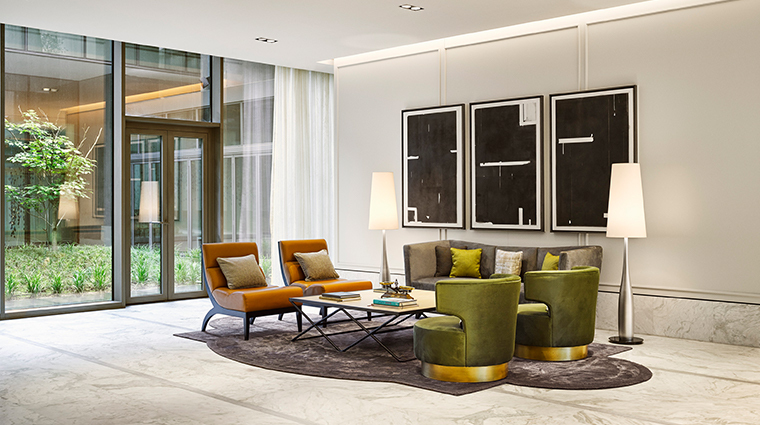 Masterminded by U.S.-based firm Wilson Associates, this unique design approach gives the property a timeless urban feel with meticulous attention to detail and choice of prime materials. The lobby, for example, envelops you upon arrival in its custom-made black orchid shell, a taste of the stylish delights to come. 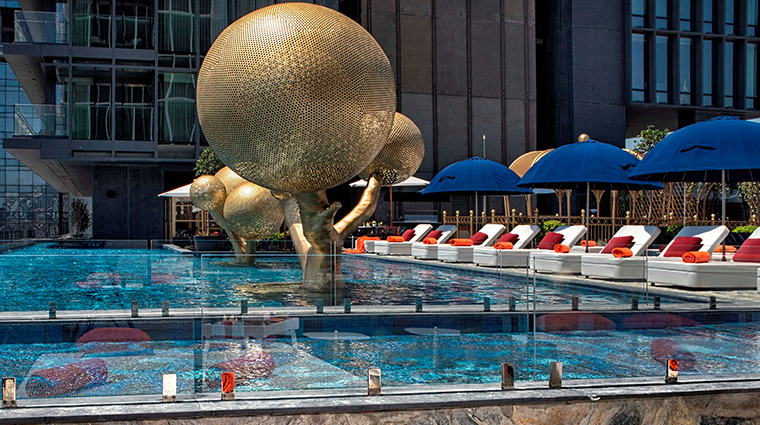 When in season, the fifth-floor outdoor infinity pool is worth a dip. 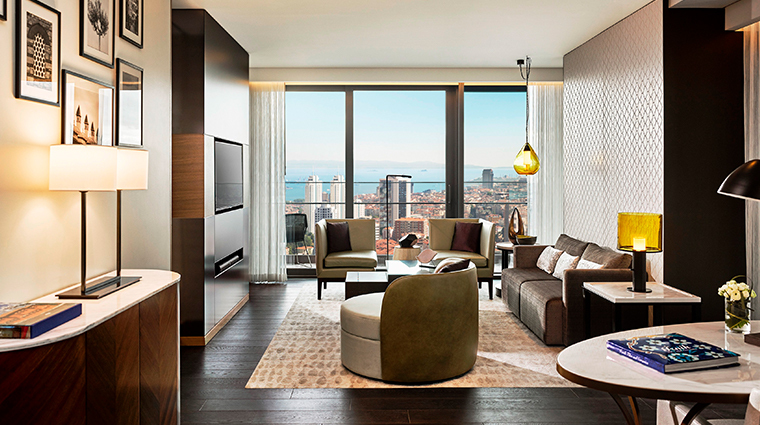 Swimming under the signature golden globes that emerge from the water, you’ll overlook the urban jungle of Istanbul and have sensational views of the Bosphorus and Marmara Sea. 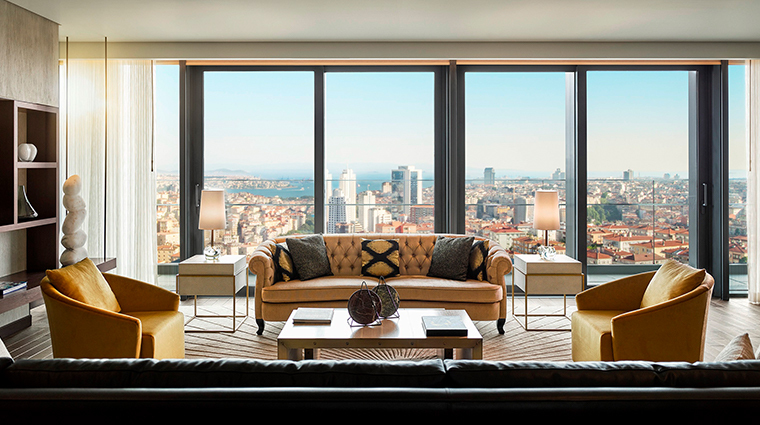 Allow yourself time to lounge around the Istanbul hotel. 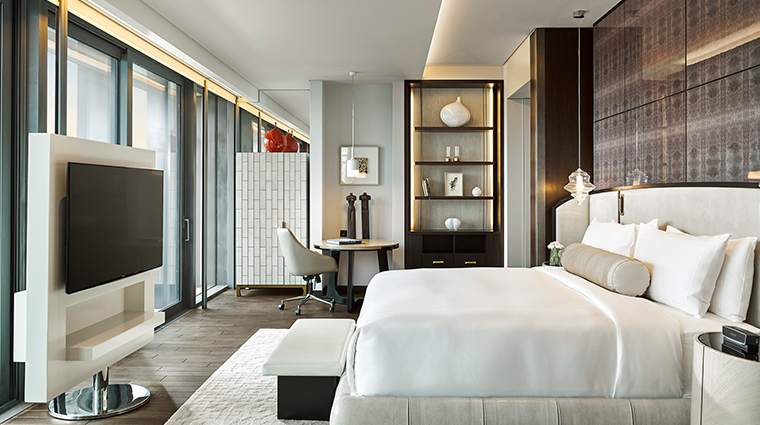 The supremely comfortable rooms are spacious, flooded with natural light, decorated with soothing, subdued colors and equipped with handy iPad control panels to change the lighting or order room service. 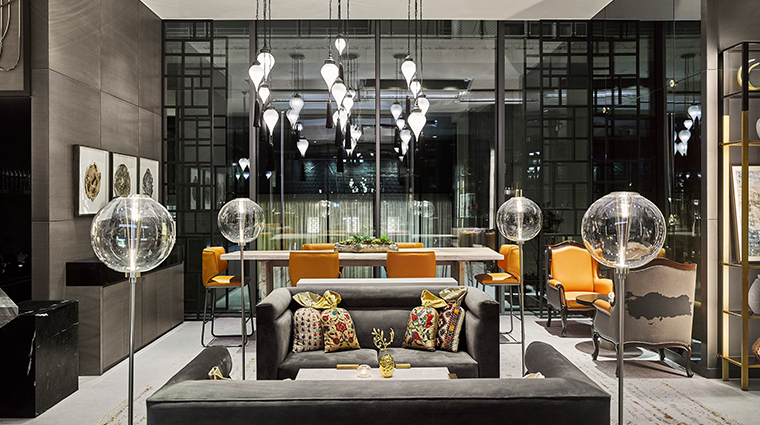 The brilliant interior design highlights the characteristic bold geometric shapes of art deco style — think long rectangular lines and semicircles — paying tribute to the historic liquor factory next door, with a local flair in the details. Do not miss the splendor of Turkish restaurant Aila, one of the most stylish places in town to sip the national drink raki, an anise-infused, grape-based spirit. 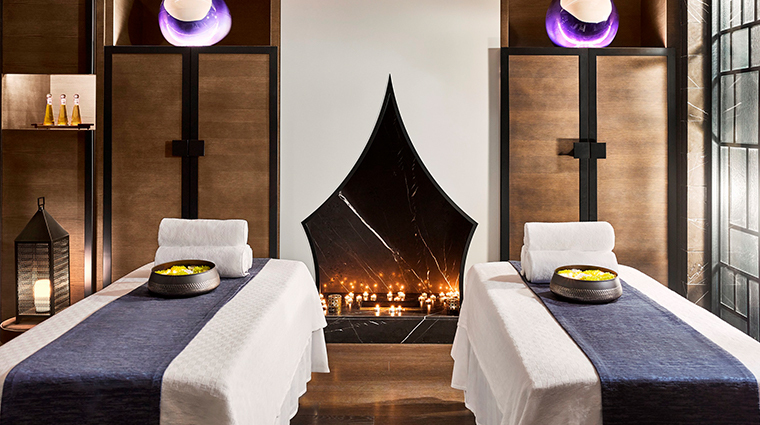 Willow Stream Spa, Istanbul is a must-visit for its natural-light-filled indoor pool with a retractable glass wall that opens to the outdoors in the spring and summer, state-of-the-art gym and hammam treatments. 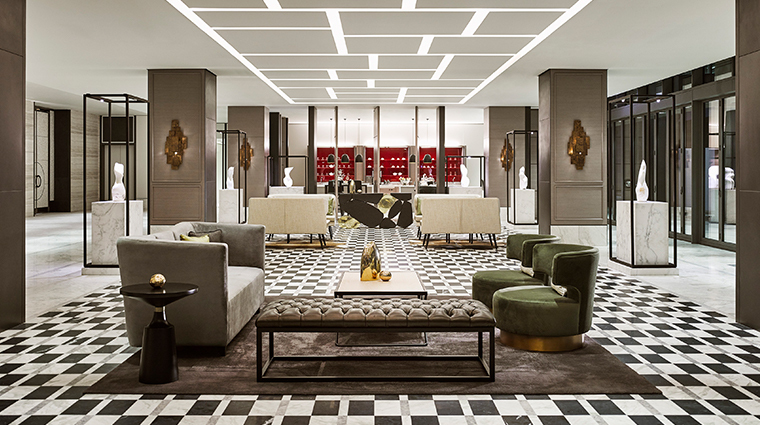 There is not a singular lobby in the hotel, but a fragmented flow of spaces around a central courtyard that mimic Istanbul’s winding city streets. This unusual design provides plenty of cozy alcoves for relaxation. The 15th-floor Fairmont Gold Lounge is worth the upgrade. 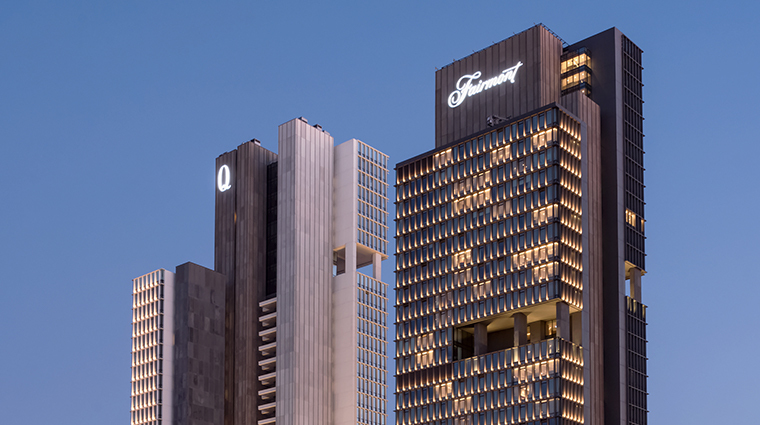 Only those staying on the Fairmont Gold floor or in suites can access this exclusive spot with its sublime city vistas, complimentary breakfast and gratis nightly happy hour. The 209 luxuriously appointed accommodations all share one outstanding feature: they are sound-proofed to ward off the buzzing 24-hour traffic. 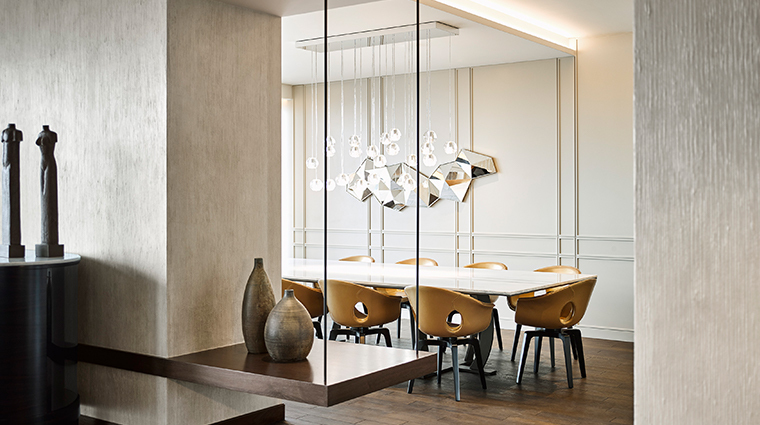 Enjoy your view in silent serenity through wall-to-wall, floor-to-ceiling windows, or slide them open to let in the distant murmur of the city. A nice techy touch comes in the form of remote-control curtain shutters that can provide total darkness, a priceless feature if you need a midday nap to overcome jet lag or to refresh after a tiring day of meetings or shopping before heading out for the evening. Rooms have a choice of a freestanding tub or Turkish hammam in addition to a rainshower. Opt for the latter, especially in the winter, when the heated marble seats offer an unmatchable luxurious feel. 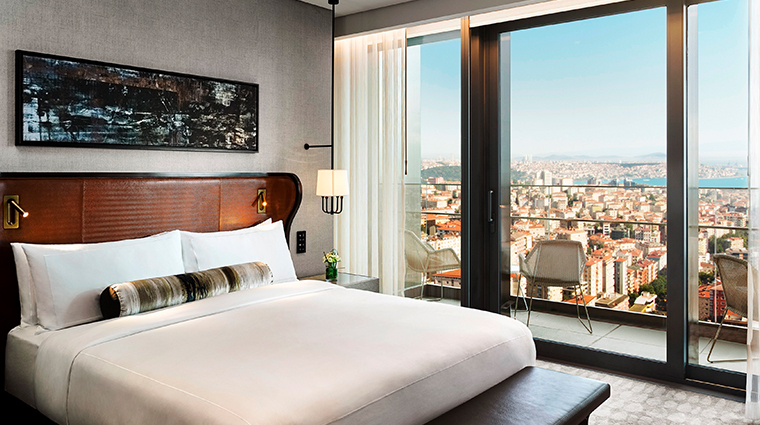 The Bosphorus View Rooms have balconies furnished with chairs and a little table, perfect for enjoying a drink from the fully equipped bar while catching a breeze from the sea. For breakfast and lunch, Stations provides a wide selection of global and local tastes cooked in open-kitchen stations (hence the name). 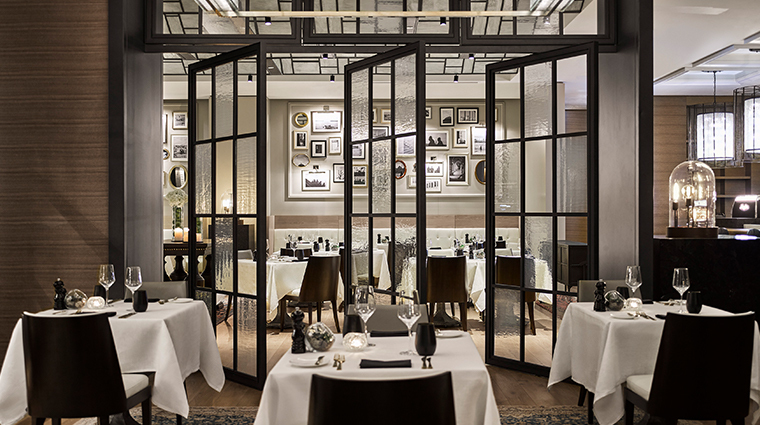 The walls are adorned with several black-and-white photographs of Istanbul that were taken in 2017, the year the luxury hotel was opened. 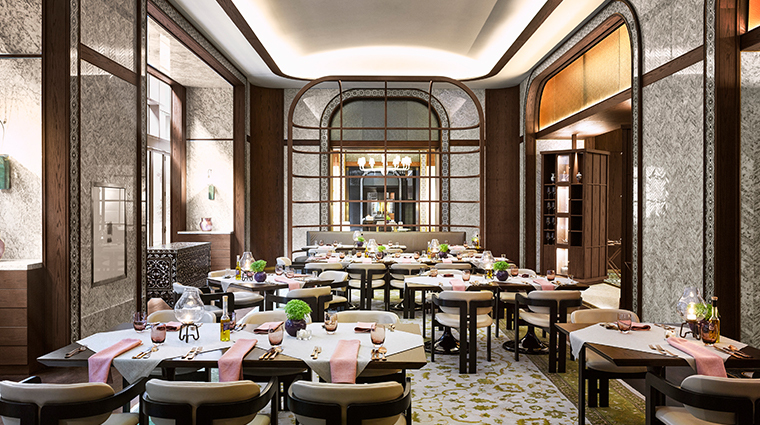 Aila serves Turkish cuisine with a twist from head chef Umut Karakus. The menu features modern takes on classic mezze dishes, as well as an exceptional selection of kebabs. Another must-visit spot is the adjacent Spice Library, where intriguing spices and housemade dried vegetable powders from Aila’s chef are displayed. Look for unusual flavors such as pastrami and tomato skin. 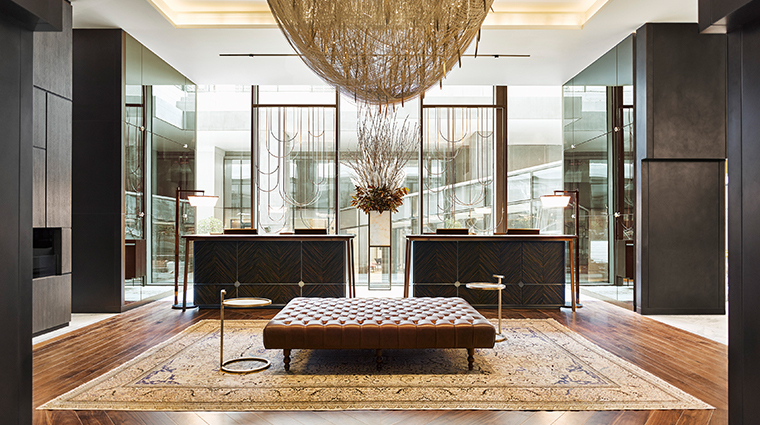 Ukiyo Lounge & Bar adds a stylish Asian elan to the property with a quirky design by Marcel Wanders and spectacular city views. Savor a Japanese-inspired cocktail while nibbling on fare like beef tataki, dashi-marinated lamb chops and summer rolls with sesame plum sauce. 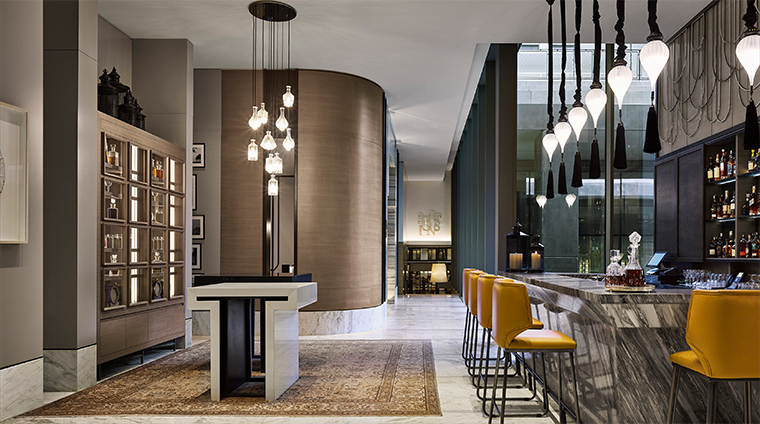 With its pivotal location in the lobby, Marble Bar welcomes you with classic cocktails with an Istanbul, twist such as The Golden Horn (peach, Aperol and sparkling wine) or the Istanbul Sour (raki, lemon juice, sugar and red wine).